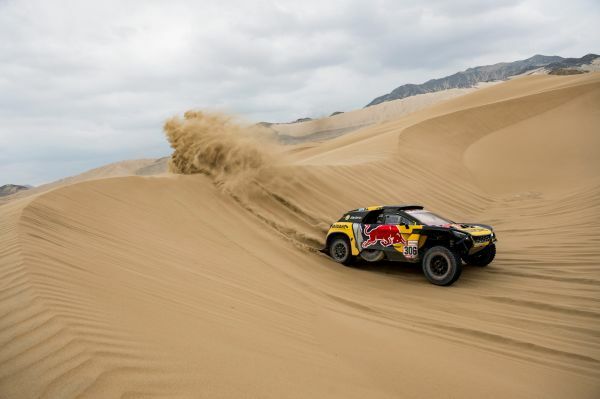 Stéphane Peterhansel has reached WP4 17 minutes behind his former team-mate Sébastien Loeb. The elder of the two Frenchman still has more than half the stage to try and reduce this gap to avoid losing too much ground in the general standings. 08:06 Loeb takes the lead! The leadership of this second special has changed hands once again and now it is the turn of Sébastien Loeb to move provisionally in front after 150 km, with a slim lead of 15 seconds over Giniel de Villiers. Nani Roma is also in the reckoning, 49 seconds behind the Frenchman.